A recent archaeological discovery in Jerusalem reminds us that Jews once bore names like Antigonus, Aristobulus, and, possibly, Daedalus. 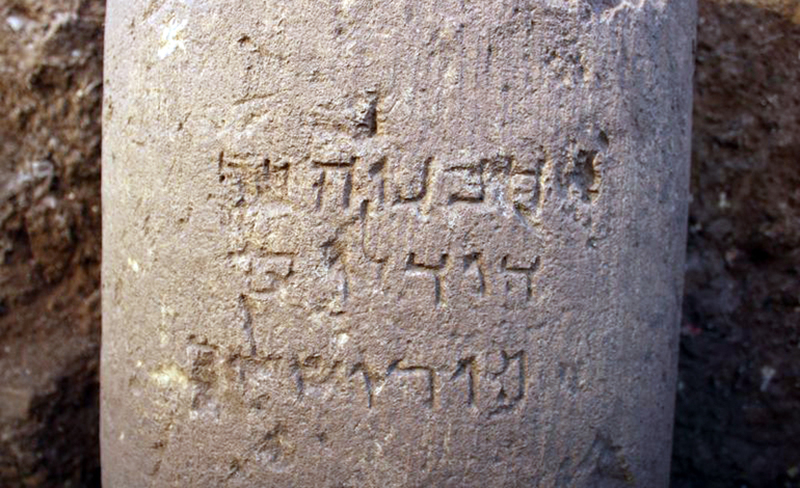 A stone column recently discovered in a Jerusalem excavation, on which is chiseled the Hebrew/Aramaic inscription “Hananiah bar Dodalos mi-Yerushalayim.” Danit Levy, Israel Antiquities Authority. Dated to the 1st century BCE, this inscription represents one of the few times that the spelling of Yerushalayim (with a yod) rather than Yerushalaim, the version that generally appears in the Bible, has been found from the Second Temple period. This confirms, say the linguists and paleographers in stressing the find’s importance, that already in late-Second Temple times, the name of the city was written and pronounced with the two-syllable ending “-ayim,” as it is today, rather than with the monosyllabic diphthong “-aim,” as it apparently was in earlier periods. And yet it is the “the son of Dodalos” part of the inscription that strikes me as more interesting. The Haifa University archaeologist Ronny Reich and the scholar Yuval Baruch of the Jerusalem Antiquities Authority, to whom the initial analysis of the discovery was entrusted, have suggested that Dodalos is an ancient Hebrew or Aramaic form of the Greek name Daedalus. Given the fact that no similar-sounding name occurs in either Jewish or Greek sources, this would appear to be a reasonable assumption—and, if correct, an intriguing one. The scorching rays of the too-near sun softened the fragrant wax which held his wings. The wax melted; his arms were bare as he beat them up and down; but, lacking wings, they took no hold on the air. His lips, calling to the last upon his father’s name, were drowned in the dark blue sea. Daedalus, the story goes, had been imprisoned by the Cretan king Minos in order to insure that the secret design of the Labyrinth built by him—in which Minos kept the Minotaur, the part-man, part-bull that was his wife’s monstrous offspring—never be revealed. Daedalus’ name comes from the Greek word daidalos, “cunningly wrought,” and the Labyrinth was not his only feat. An artisan and inventor mentioned by Homer and called by Ovid “a man famous for his skill in the builder’s art,” he was also renowned as a sculptor in stone. Because the name Daedalus never seems to have belonged to an actual Greek, Reich and Baruch speculate that it was not Hananiah’s father’s given name but rather a nickname, perhaps bestowed on him for his talent as a stone carver. Occupations were commonly passed down from father to son in the ancient world, and stonework may well have been Hananiah’s job, too, which may be why he signed an architectural column. There was certainly nothing unusual about 1st-century BCE Palestinian Jews having Greek names. Palestine had been part of the Hellenistic world ever since the 4th-century BCE Asian conquests of Alexander the Great, and the influence of Greek culture in it was great. One sees the progression of Hellenization nicely illustrated by the names of the Hasmonean rulers who governed Palestine in the wake of the Maccabean revolt of 167-160 BCE. Although the revolt was carried out in the cause of an anti-Hellenistic Jewish religious nationalism, the dynasty that emerged from it was soon Hellenized itself. The five brothers who led the Maccabean revolt and ruled in its aftermath had only Hebrew names: Yehudah (Judah), Yonatan (Jonathan), Yoḥanan (John), Shim’on (Simon), and Elazar. But after his death in 134 BCE, Shim’on, the last of the brothers to reign, was succeeded by his son Yoḥanan Hyrkanus (134-104), who had a bilingual Hebrew-Greek name—as did, in turn, his own two sons, Aristobulus Yehudah, who ruled for less than a year, and Alexander Jannaeus (the latter a shortened form of Yonatan), who held power until his death in 76 BCE. Alexander Jannaeus’ sons, by contrast, were known simply as Hyrkanus II and Aristobulus II, with no Hebrew co-names at all. Although Antigonus was a common Greek name possessed by several of Alexander the Great’s successors, including Antigonus Monophthalmos, or Antigonus the One-Eyed, who ruled all of Asia after Alexander’s death, and his grandson Antigonus II, it is striking to find it also belonging to one of the first rabbis, a man who was Antigonus II’s contemporary. 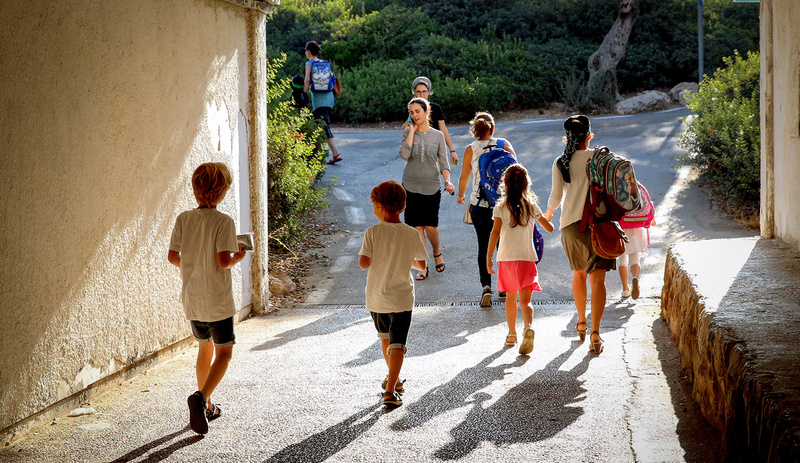 Subsequently, Greek names were had by several leading Tannaim, or rabbis of the Mishnaic period, including Rabbi Tarphon (Greek Trypho), Rabbi Dostai (Greek Dositheos), and Rabbi Dosa (Greek Dosias). If he was a stone carver, Hananiah bar Dodalos would have been a lower-class workingman. Does his father’s bearing the name of a figure known only from Greek mythology suggest that lower-class Jews of the period were familiar with Greek literature, too? Not necessarily. Dodalos, as we have said, was probably a nickname, and admiringly referring to skilled people by the names of famous inventors or artists is something we do to this day. “He’s an Edison,” someone may say of such a person, or “She’s a Picasso,” even though the speaker may know nothing about the life of Edison and have never seen a painting by Picasso. Similarly, a 1st-century BCE Jerusalemite who never read Homer or Plato and had no knowledge of a single Greek myth may have said of Hananiah’s father, “He’s a Daedalus.” If so, the epithet stuck far more enduringly than its bestower could have imagined.